Have You Visitor’s Mind Ever Told Your Reception Area What it Should Look Like? When things aren’t as one would expect, people don’t always say what they mean or mean what they say—even when they think it should have been different. I’ve read that only 18 percent of the population prefers assertiveness (says what they think at all costs) as opposed to the other 82 percent, who prefer to remain silent and shrink back in the face of conflict. In other words, the majority would rather say nothing than risk being insulting or creating hurt feelings. It’s simple. In our culture, being nice will usually prevail over truthfulness. So, when it comes to getting truthful feedback about your reception area, don’t expect much honesty. Most people would rather say nothing. At 90 Degree Office Concepts, we get emails from our clients telling us that they are regularly getting compliments from visitors (and even passers-by) about how great their modern reception area looks. And a steady stream of positive feedback necessitates showing up as excitingly different from what people see everywhere else. That’s where we can help. 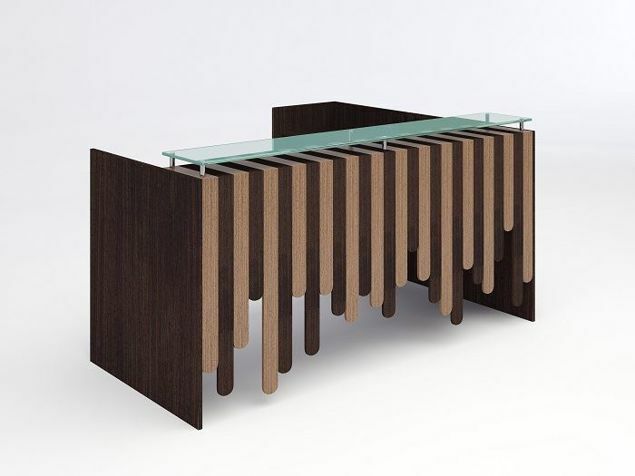 The Tennessee Modern Reception Desk exemplifies the style of a forward-thinking company. 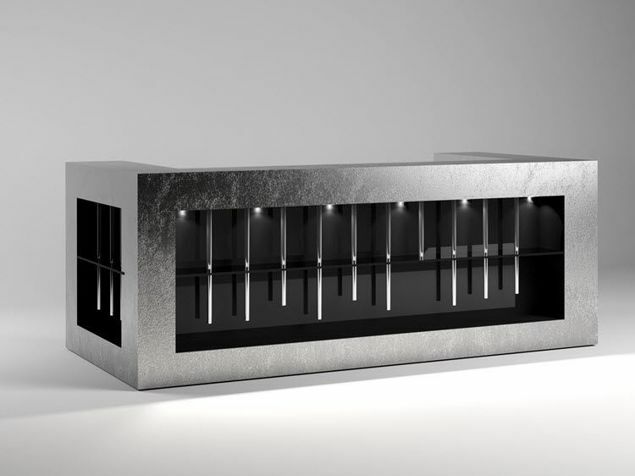 The face of the Tennessee Reception Desk is an exciting combination of brushed aluminum and acrylic in combination with metallic columns, both front and side. 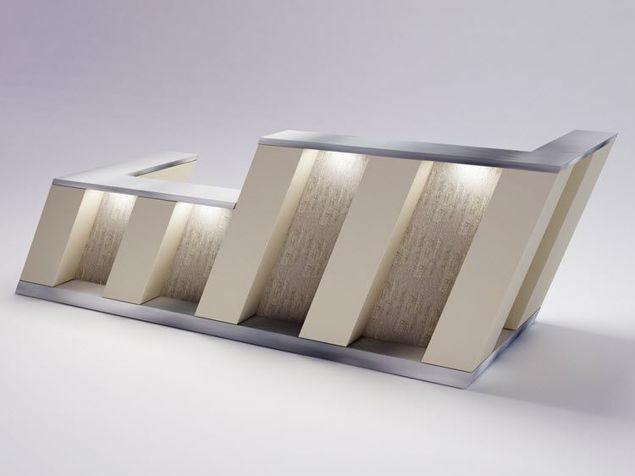 The Tennessee can be ordered as a straight desk, or in an L-shaped or U-shaped format. An ADA-compliant return can be built in upon request. 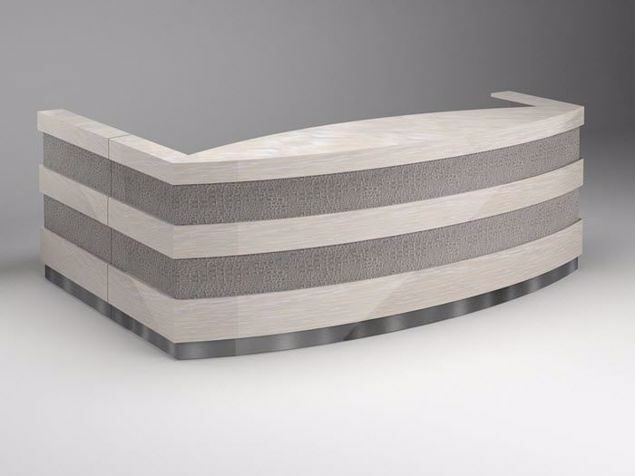 This modern reception desk allows you to combine color choices and materials in concert with your company’s design concept. Your chance to get creative is just a phone call away. You can begin your creative journey with our entry-level HPL material, or upgrade to wood veneer, metal, or stone. Select from a wide variety of cool, bold, modern colors, or take a more conservative approach. The Tennessee can be yours as an entry-level desk at 29" D x 60" W x 42" H, or let us know the size more applicable to your reception space. 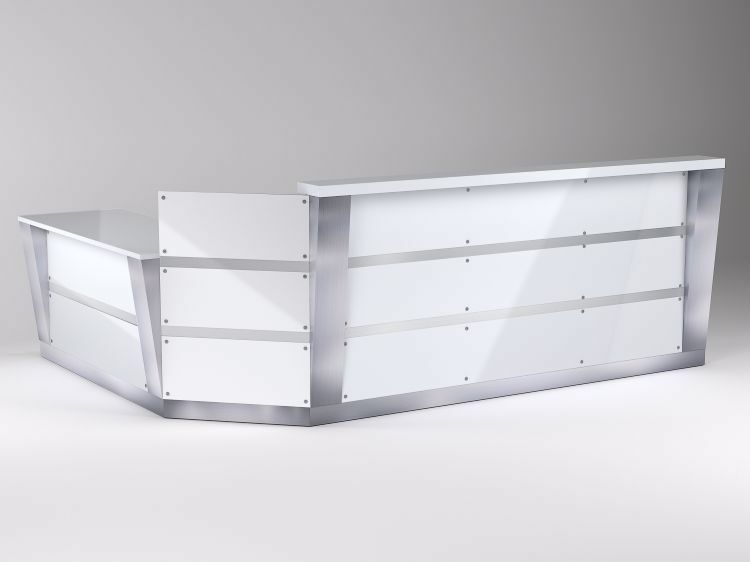 This Tennessee Modern Reception Desk shown here (64" D x 108" W) is done in brushed aluminum w/ solid white acrylic. This L-shaped desk is featured with a return of 36" for ADA compliance height. Priced at $7,697. Give us something to work with! You can select the size, material, color, or finish you want for that special function, look, and feel to separate you from the crowd. Need to upgrade to something more workable? We can assist you in getting it right. Let us show you how to put it all together affordably. It’s simple! Just tell us what you want. Call us: 855-699-0334.